Guanacos roam wild in Patagonia. They are related to llamas and alpacas. 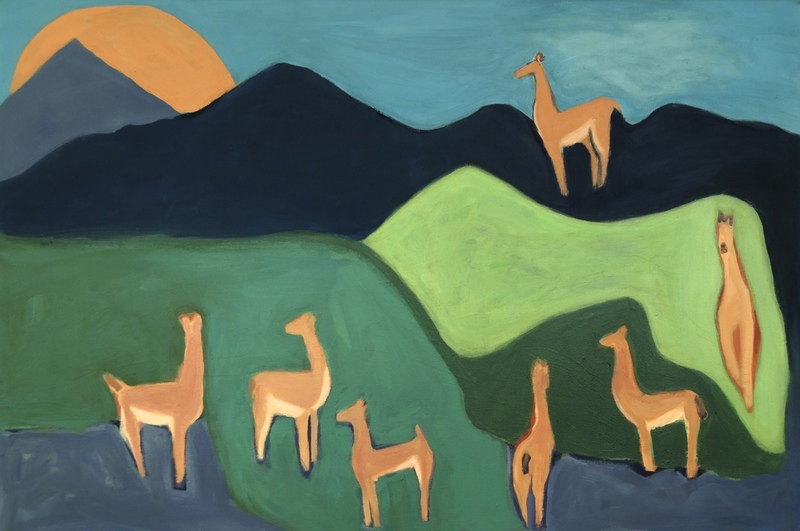 When the herd stops to graze or rest, an experienced guanaco takes to the nearest hill, occupying the high ground so it can spot danger quickly and bark out a warning that sets the herd in motion.